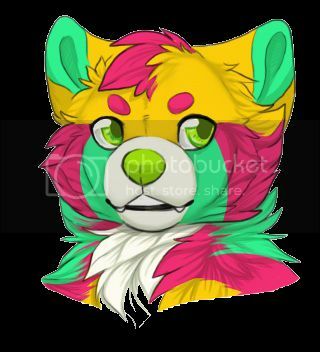 [Loc] Dany's Surgery - page 3 - meet the mods & staff - Furtopia | Family Friendly Furry Forum and IRC Chat! :O Strawberry and cream tea? That sounds AMAZING. Dany is indeed adorable ^^ She went to the vet today: I was concerned that she had an overly fat, puffy beard for several days. The vet said he thinks she got kicked inside the throat by a locust when she was eating, and that she has a few scratches or cuts in there that have got irritated. So she's on a soft food diet for the next week or so, so lots of TLC and waxworms while she recovers. Congratulations on your promotion Loc! Now just don't Mod too hard… you wouldn't want to over mod your moding, because then you might have to re-mod your first mod to make that mod modout properly. Don't worry, I double checked, that all makes sense (I think). * Loc faints under a pile of mod. So, this is Dany, she's adorable . How is she at using a laptop btw ? What are her favorite insects and veggies? Oh, before I forget congratulations on the promotion. 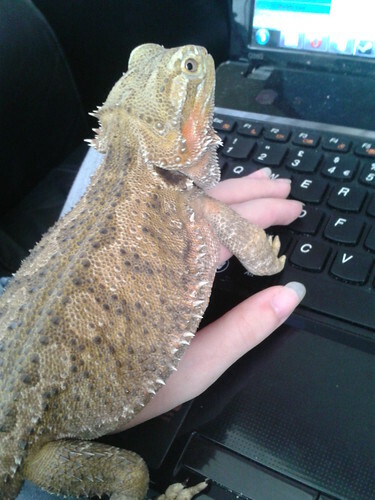 She's very fond of crawling across laptops XD Probably because they're nice and warm, but she also likes watching the screen if you're playing any games. She's not very fond of most veggies, she's rather fussy, but does eat butternut squash and drinks pineapple juice. Insects, she mostly has locusts (she doesn't like crickets) dusted with various vitamins and calcium to make up for her fussiness with veg, but she goes absolutely crazy for waxworms. 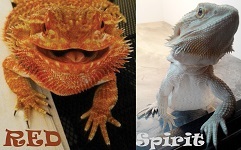 They're like lizard candy. You ever try dubia roaches for Dany? They are a bit on the pricey side for feeder insects but they are a bit healthier than crickets, and less of a hassle to breed than crickets in my opinion(I have my own colony of roaches going atm). They don't seem to be sold over here. Not locally anyways. I'm trying to get a mealworm breeding program going, and might try and breed some locusts in the shed when the weather starts to warm up. I've bred them before, some years ago. 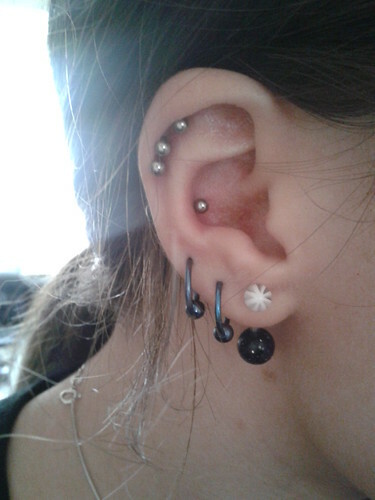 I also have a fondness for piercings, especially ear ones. The one slap bang in the middle is new today. 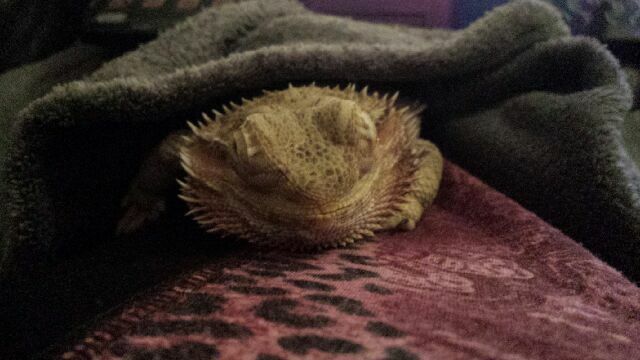 Merry Christmas from a very sleepy little lizard. 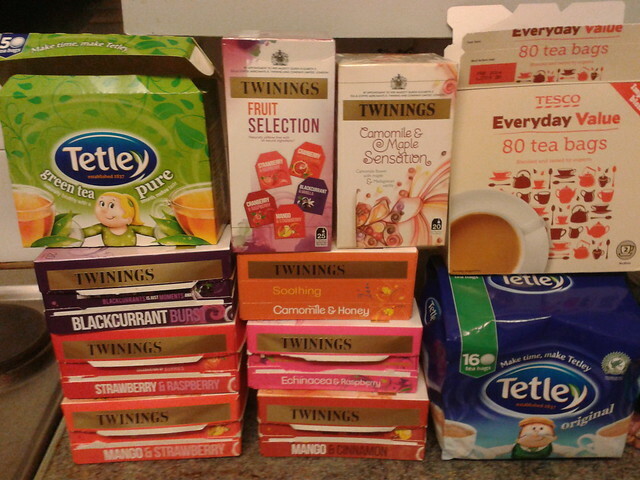 I couldn't fit all the types of tea in the picture either. I have several apple and assorted berry blends. Dany has been digging, so we redid her tank to give her a nest. A couple of hours after this photo was taken, she started laying eggs. When I last looked, she had three. Apparently she could lay as many as 25 or 30. Sadly they are unfertilized (she's never had a beardie boyfriend, and I think this is her first ever clutch) and she will probably trample some of them anyway. So when she is finished I'm going to have to remove them. Re: Loc - Dany is a mummy?!? Dany laid her last egg somewhere around 11pm, two or three hours after she started. She's filled in her nest hole and is now looking skinny and exhausted. Offered her some fatty waxworms and she refused them, so I'm just letting her rest. Tomorrow I'm going to feed and bath her (get her rehydrated and she is caked in dust and dirt from digging), and then unbury her nest and remove the eggs. I'll try and get a photo of them and will update with a count. As far as I know, this is her first ever clutch. 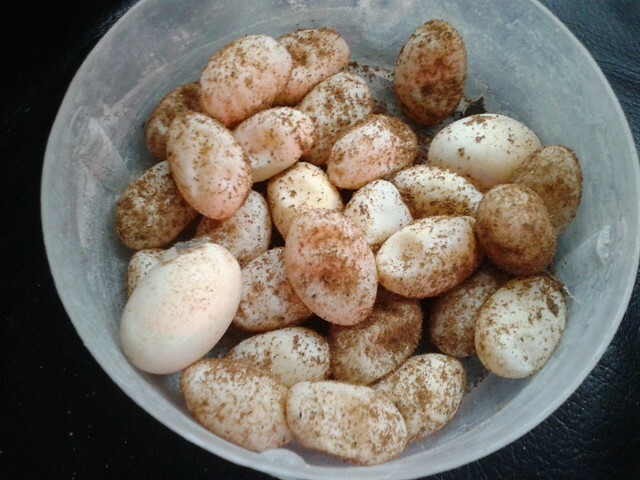 Dany laid 28 eggs. A decent to large clutch. She is now going to be having a lot of calcium: as I didn't know she was going to lay, I didn't adjust her diet accordingly and she might have taken calcium from her bones to make the eggs. She was also digging in newspaper and sand a lot rather than dirt, which would have exhausted the poor little thing. She's had a bath (most of which she drank) and a lot of waxworms (high energy and fat), and apart from looking skinny and tired (like any new mum), she's active and cheerful. Congrats on the new...er...colony! It'll be cute I am sure! Except they are all infertile eggs XD No babies here. Oh! Well...I'm sure she's glad that's done, then! I bet she is XD I wonder if she's going to do this every year. She didn't crush a single one of her eggs ^^ She'd be a good mum, if I ever introduce her to a nice young male. I was worried about if her bone deformities would cause her issues with laying, but they didn't seem to. Just going to give her lots of cuddles and feed her back up now, poor little soul. 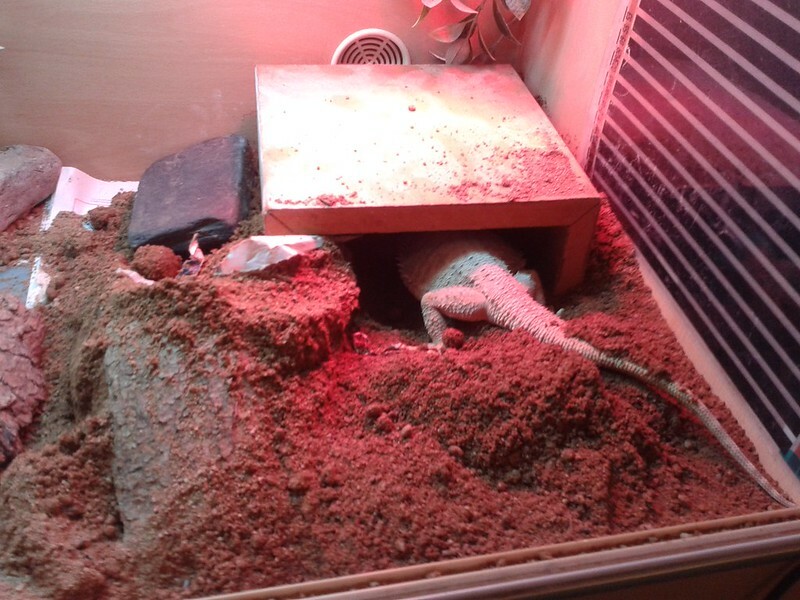 If I knew she was actually going to lay eggs rather than have a phantom pregnancy type thing (which is all I thought it was) I would have set her tank up with a better digging spot a week or so ago. I'm so glad she didn't become egg-bound. I was probably panicking about her more than she was XD All natural to her, of course.